Hippie clothes. Bohemian clothing. Artsy clothing for expressive women! 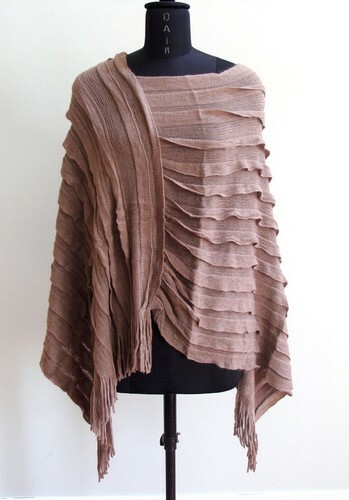 100% Acrylic knit cape poncho shawl. Ribbed styling creates a fun shabby chic haute hippie look. This would be great to keep you warm at festivals and bonfires. Check the measurements below.